Every parent wants to make sure that his or her child’s birthday is perfect. From the start when everyone arrives to the end when cake is eaten and presents are opened, you want to ensure that everything goes on without a hitch. No matter how old a child is turning, as a parent, you probably do everything you can to ensure that the kids birthday party idea you come up with is exactly what they want. In today’s blog, we’ll be going over one way that you can throw your child a birthday party he or she will always remember. One of the many kids gym services we offer at Hot Ground Gym® in Vernon Hills is birthday parties. While you may think that it’s better to have a birthday party at your home, that’s not always the case. Learn why it’s a good idea to have your kids’ birthday party at our kids gym instead of in your home, at a park, or some other place. If you’re interested in learning more about our kids fitness gym, then contact us today. So what do you expect from our birthday parties? How are we different than any other facility that you’ve been thought would be a good idea for a kids birthday party. When you choose Hot Ground Gym® in Vernon Hills to have a birthday party, you can expect a structured party that is 90 minutes. There will be 60 minutes of guided activities from an instructor and 30 minutes that are specifically reserved for eating some delicious food and cake, if you would like to incorporate it. You can expect a different vibe than other birthday parties because of the 60 minutes of guided activities. These activities consist of an obstacle course and team building activities that we call missions. These missions are creative and will help your child, as well as his or her friends, learn about problem solving, confidence, and cooperation. Unlike other kids fitness activities, our obstacle course will not just work the body, but it’ll also work the mind. The obstacle courses will be guided, no matter the age of the participants. It will also give your child and his or her friends a taste of exactly what Hot Ground Gym is all about. Our kids fitness gym is different than any other facility in the area because we don’t just focus on building strength, we also incorporate methods to learn skills that your child will hold onto for the rest of his or her life. While we painted you an image of the overall experience of the party? What are some of the details, we know you probably are eager to find out that the cake can be cut with a military sword or that you have the option of having a group photo taken. Not only will your child enjoy an active birthday party where he or she will work up an appetite, but he or she will also get to enjoy spending time with some of his or her closest friends. After all, a fun birthday party isn’t complete without cake and spending time with friends and family. Once the obstacle course has been completed, the cake will be brought out and we’ll sing Happy Birthday and cut the cake with a military sword. We’ll also include a birthday conclusion from the instructors and if there’s any time left, then we can always incorporate another obstacle course or mission if the kids are up for it. So what do you need to bring besides your child of course? First, you should know that when you have a birthday party with us, it’s 100 percent private. It’s just you, your guests, and the instructor. There won’t be another birthday party going on or a Junior Boots™ session going on. It’s just you in the entire Hot Ground Gym. We’ll also include the table set up, so you can expect utensils, a tablecloth, plates, and napkins. There are no extra fees if you’d like to bring food from the outside, especially a beautiful cake to enjoy after the mission. The entire birthday party will be 90 minutes in length. It’s the best time for the kids to enjoy the mission as well as eat a slice of cake. When you choose our facility for your birthday party, you can expect superior customer service because we want to make sure everything goes well and everyone has a great time. Are you interested in throwing your child’s birthday party here? 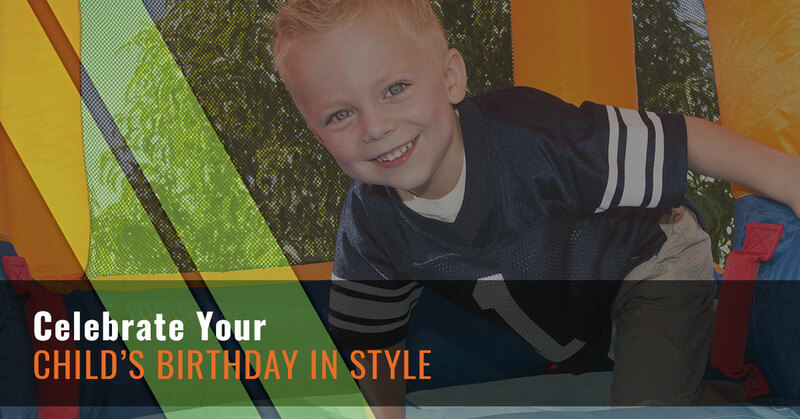 If you need a kids birthday party idea that will ensure your child remembers their special time of the year for the rest of their life, then choose Hot Ground Gym in Vernon Hills. For further information about planning a birthday party with us, then contact us today.